Yesterday Bud and I left Little Miss with Grandma and headed over to MediaCity in Salford Quays for a very exciting day out with cBeebies. We were there to see an exciting new product which I can share with you today. 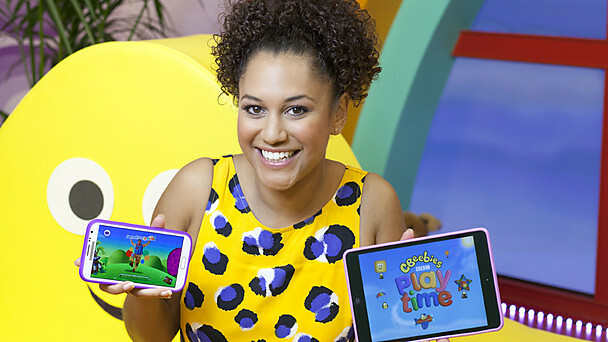 cBeebies has launched their very first app - Playtime - for their young fans and their parents. We got to try it out and it is brilliant! The App launches today and is available free of charge for iOS, Android and Kindle Fire devices. Straight away I was really pleased about this, as the owner of a Kindle Fire I'm often frustrated by the speed that many apps make their way to the Amazon App Store. The App is stand alone, so it won't eat into your data allowance, and completely free. No nasty surprises from toddlers pressing the wrong button for in-app purchases here. Tree Fu Tom Chuckleberry Chase - Children cast a spell with Tom then chase the Mushas through Treetopolis to catch the escaping Chuckleberries and save the day. This can be played by tapping with a finger or by moving your device to the direction you want Tom to fly in. I actually quite struggled with this but Bud took to it quite quickly. He says that this is his favourite game on offer. Octonauts Cadet Training - Join Captain Barnacle and the crew as they attempt to explore, rescue and protect four different sea creatures. You travel underwater pressing a series of shape buttons to advance and are then met with your chosen character. These are rescued in a variety of fun and different ways. The shape buttons didn't hold Bud's attention for very long, although he did concentrate more when he took the iPad Mini off to play alone, without me breathing down his neck! This game shares interesting facts about each sea creature that you rescue to add to the interest level. Something Special Paint Pop - It wouldn't be a cBeebies app if it didn't feature Mr Tumble and he and Fisherman Tumble and Aunt Polly are represented in this game. Children pop paint bubbles to decorate a series of blank items. 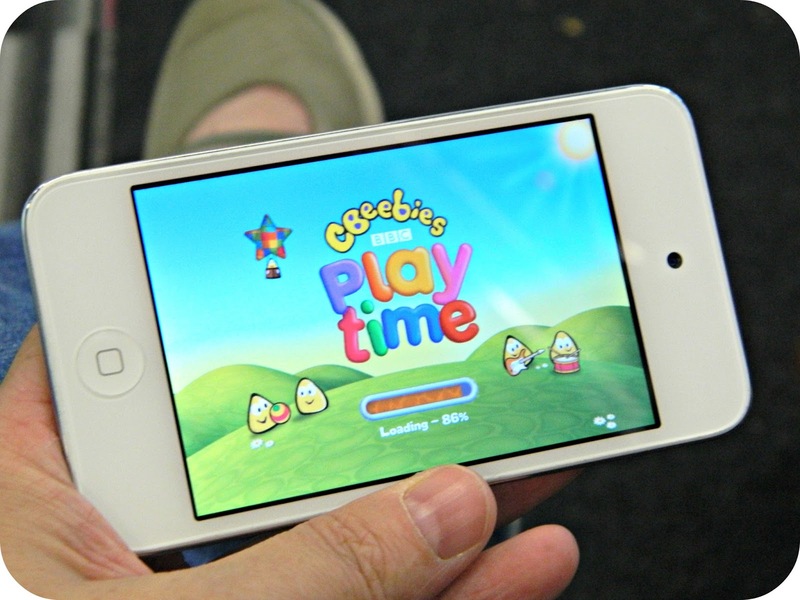 cBeebies have worked hard to make this game accessible to all children and it can be customised to suit age and ability levels, including those of children with additional needs. This was a big hit with Bud and he very quickly started to play at the faster speed when he picked up a device which had been set harder. Alphablocks Word Magic - This was the game that held both mine and Bud's attention for longest yesterday. I'm already a fan of the Alphablocks and always very interested to see them as I'm told they are very good for understanding Phonics. This is the way that children are taught to read now using the sounds of letters as building blocks. I love the Alphablocks because they all look different and, even to a child who only recognises the letters of his own name, he can be helped to identify other letters by describing the Alphablock who represents it. The game requires children to spell out simple three letter CVC (consonant-vowel-consonant) words by dragging the Alphablocks in the correct order. As soon as you tap the Alphablock you hear the phonic sound of the letter so I think there is a real learning opportunity with this particular game, Bud started to 'learn' the phonic sounds quite quickly while he was playing and I can see us playing this game rather a lot in the future. Everytime your child performs well at a game they receive a resounding 'well done' and are invited to choose a cBeebies bug to mark their success, they can choose up to three for each game. 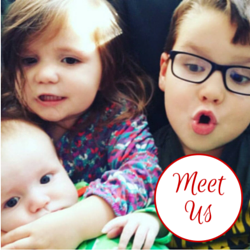 It is possible to create up to four different profiles for your children on the app and each profile can be personalised with your child's individual balloon avatar. There is a special section for grown ups which shows how you can support your children in how they play with the app and which areas of learning are being developed through their play. I really like this app, especially the Alphablocks game. I think, at the moment, it is a little limited as there are only four games and these will probably become familiar to Bud quite quickly. The plan is to continuously develop the app and add new games (I'd like new words for the Alphablocks) as time goes on. I think if that is managed successfully then it will be a really great resource for parents of cBeebies fans to keep them entertained, and learning. Disclaimer: I attended the product launch as the guest of cBeebies, I have not been asked to write this post but I really wanted to share this fab, free app with you!